On Saturday, September 1st, I was glued to my TV. I am sure I was not alone! The national memorial service celebrating the life of Senator John McCain was held Saturday morning at the Washington National Cathedral in Washington, D.C. The senator’s family, friends, congressional colleagues and staff, as well as U.S. and international leaders attended and participated in the service. Clay Aiken was in attendance at this beautiful celebration. Both Clay and Meghan McCain have said more than once that they are good friends. I am glad that Clay was there to give support and love to his dear friend. Many of the news websites listed the name of the people who were in attendance at the ceremony. Clay’s name was listed along with many other well-known people. Famed opera singer Renee Fleming sang “Danny Boy” at McCain’s funeral. McCain requested that the song be performed at his funeral because he often listened to it while sitting on his porch in Arizona as he battled brain cancer. 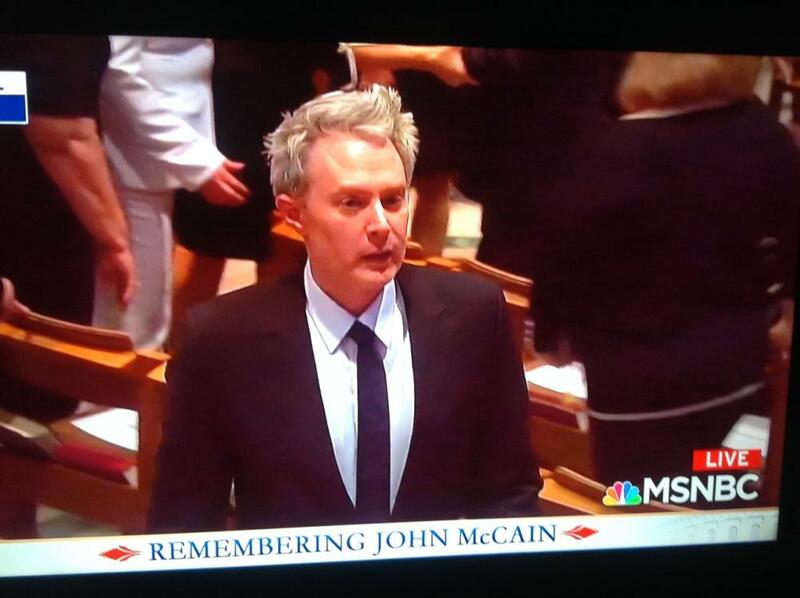 Fleming, who is currently starring in “Carousel” on Broadway, took the day off from the show to perform at McCain’s funeral. The arrangement of the song was beautiful and Renee sang the song with love. McCain will be buried with military honors following a private service at the U.S. Naval Academy Chapel in Annapolis, Maryland, today. 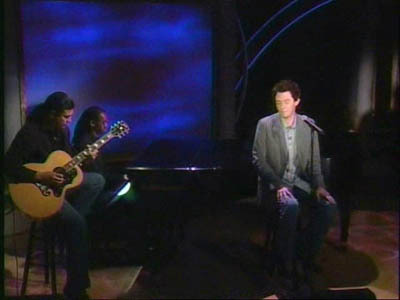 Clay Aiken has sung many songs that fit my feelings today. His songs have beautiful lyrics and if you listen, you realize the songs are loving and supporting. Today, I chose I Will Carry You! My heart goes our to the McCain family and friends. We have lost a great man! Our politics weren't agreeable, but I did admire him for his courage and sincerity! I'm glad that Clay was there to love and support his dear friend, Meghan! Love the video of OMC's slow version of "I Will Carry You"
I also was watching the funeral for John McCain yesterday and during the days leading up to it. I had no idea that Clay was among those in attendance. So glad he got to be there to lend his support to Meghan. What a great tribute to Sen. John McCain and his family. Sen. John McCain was a true HERO and a great Senator but most of all a GREAT AMERICAN he will be missed I feel like I lost someone in my family He was so well loved. Senator McCain may God Bless you and your family You will be missed. RIP Sir I will be praying for your family. Please keep watching over our country. Thank you Clay for being with the family. Thanks for being there and singing this beautiful song you are a great humanitarian I love your compassion Clay as well as that beautiful voice God gave you. Error: Error validating access token: Session has expired on Tuesday, 21-Aug-18 16:13:01 PDT. The current time is Sunday, 21-Apr-19 22:22:22 PDT.